The sustainable sector association Netherlands Wind Energy Association (NWEA) is working with all stakeholders inside and outside the wind sector to expand wind energy, both onshore and offshore, as an essential part of the renewable Dutch energy supply. NWEA unites the wind sector in the Netherlands and accelerates the transition towards a renewable energy supply by spurring businesses and governments to invest in wind energy. NWEA actively promotes the utilisation of wind power in the Netherlands, onshore and offshore. By initiating and supporting policy change to optimise wind energy deployment throughout the entire value chain, NWEA is actively involved in liaising with the national government. Moreover, NWEA supports companies in their endeavors to get foothold in the wind sector, both within the Netherlands and abroad, by developing initiatives to reinforce their network and exposure within the sector. Among the over 300 members of NWEA are developers of windfarms, owners of wind turbines, manufacturers, constructors, research institutes, electricity suppliers, consultants and maintenance companies. 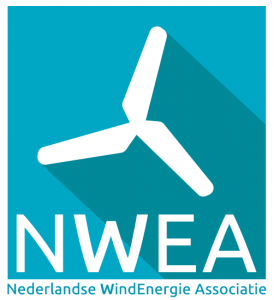 NWEA is a member of WindEurope, the European wind energy association, and the Dutch Association for Sustainable Energy (NVDE). The Netherlands was one of the first countries in the world to complete offshore wind farms. The first two, Egmond aan Zee (2007) and Prinses Amalia (2008), have a total capacity of 228MW. It took a number of years to expand capacity. This was reached in September 2015 with the project Luchterduinen. It comprises of 43 turbines with a combined capacity of 129MW. Furthermore the ‘in-shore’ project of ‘Westermeerwind’ was realised in 2016 in the IJsselmeer lake and has a capacity of 100MW. Gemini, 85 kilometres north of the Netherlands, became fully operational in 2017 with an installed capacity of 600MW. 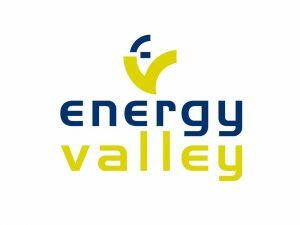 In September 2013 the ‘Energy Agreement for Sustainable Growth’ was agreed upon by the Dutch Government, the Dutch industry association, employers, trade unions and NGOs. In this agreement the renewable energy target for the Netherlands is set at 14 per cent for 2020 and 16 per cent in 2023. A substantial role is attributed to offshore wind. In 2015 a new law for offshore wind energy was agreed by the Dutch Parliament which regulates the agreements made for offshore wind energy in the Energy Agreement. In 2016 the first tender was held. The subsidy and permits for the Borssele Wind Farm Sites I and II were awarded to DONG Energy (now Ørsted). Shell, Eneco en Diamond Generating (Mitsubishi) have won Borssele Wind Farm Sites III and IV. A major milestone was achieved in 2018, when the first subsidy-free tender for the Hollandse Kust Zuid Wind Farm Zone (Lots I and II) was awarded to Vattenfall. Together with existing wind farms and other projects under construction, the total installed capacity of offshore wind will reach 4.5 gigawatts in 2023. In the new Offshore Wind Energy Roadmap another 7 gigawatts of capacity will be built in the North Sea between 2024 and 2030, bringing the total capacity to 11.5 GW by 2030. Current wind farm zones under development in the North Sea: Borssele, Hollandse Kust (zuid), Hollandse Kust (noord), Hollandse Kust (west), Ten Noorden van de Waddeneilanden and IJmuiden Ver. With discussions taking off in 2018, NWEA will continue to be actively involved in negotiating the new Climate Agreement, that is aimed at reducing CO2 emissions with 49 per cent by 2030. Half of these reduction goals can be provided for by wind energy: the most cost efficient renewable energy source with the best CO2 balance. Alignment of supply and demand, grid connection and space allocation are important topics that should be taken into consideration while developing new offshore wind zones.